Here in the Gita they say that what is real will not perish and it is eternal for it has true facts in it but what is artificial will perish. So we have to strive to find out the true life and not follow an artificial one. A person when he gets something with hard work and knowledge it is true and it lives with him forever. But what he gets by cheating and with other work will not stay with him. So go for the eternal bliss by seeing the real inner meaning of life instead of going after material gains which is not going to stay with you forever. Even mother earth may get disrupted when struck by a meteor but the soul is eternal and the energy inside earth is infinite and it just transforms from one form to another. Just as mechanical energy get converted into electrical energy and so forth the soul also just goes from one body to another but nerve perishes. 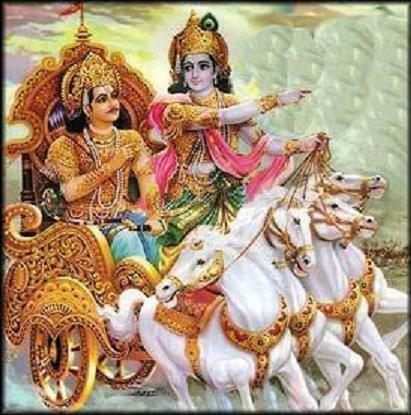 So Lord Krishna advices Arjuna to see the internal aspect of the soul instead of seeing the body and getting attached to the body which is just a temporary structure which will have to perish one day or the other.